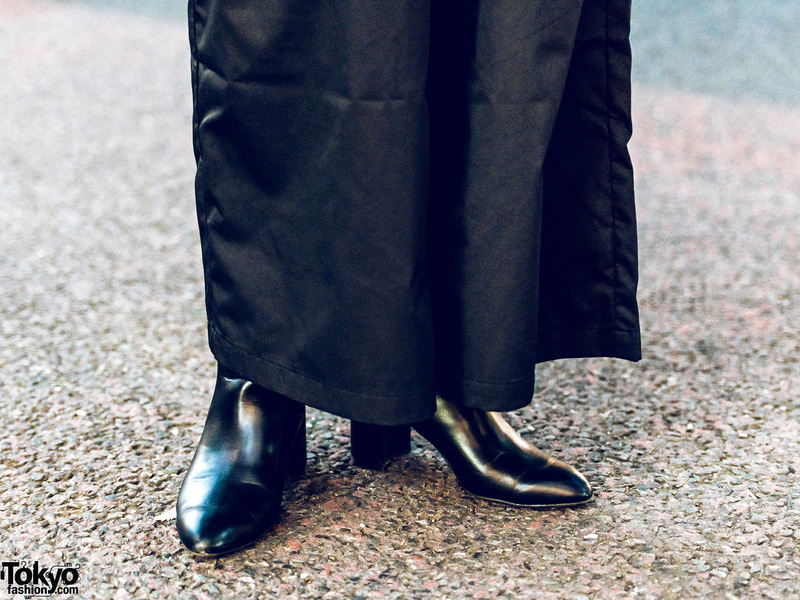 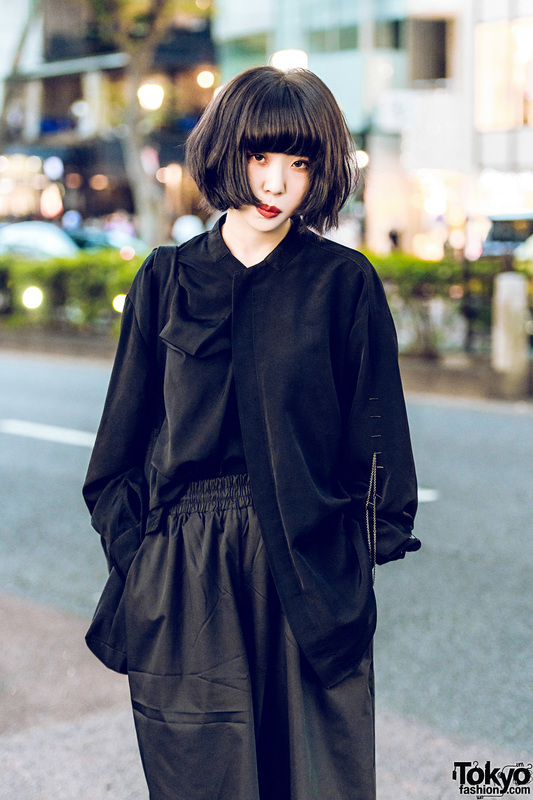 We met Maru, whose all black minimalist street style easily caught our attention on the Harajuku street. 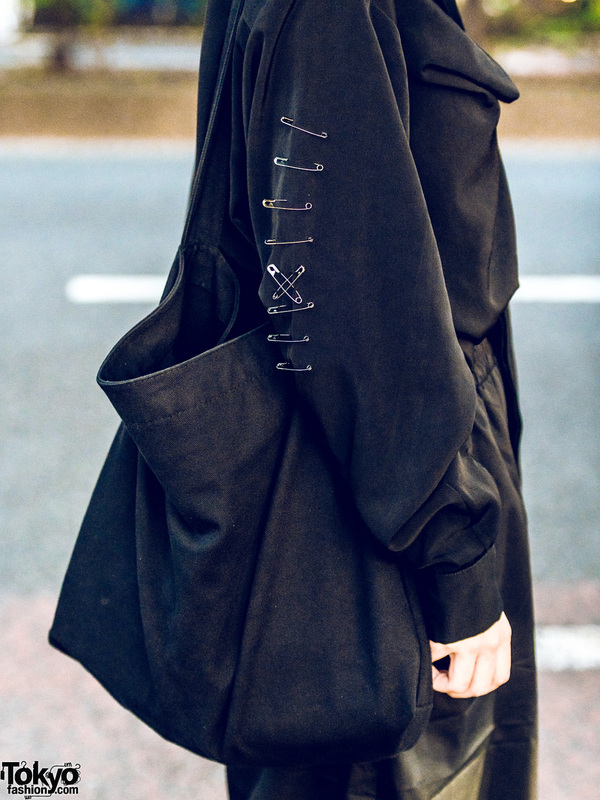 Maru stepped out in a black long-sleeved shirt with safety pin and chain embellishments, which Maru mentioned was made by her friend. She paired her top with loose wide leg drawstring pants with a satin finish from Unrelaxing, and finished off her minimalist style with heeled leather boots and a black tote bag. 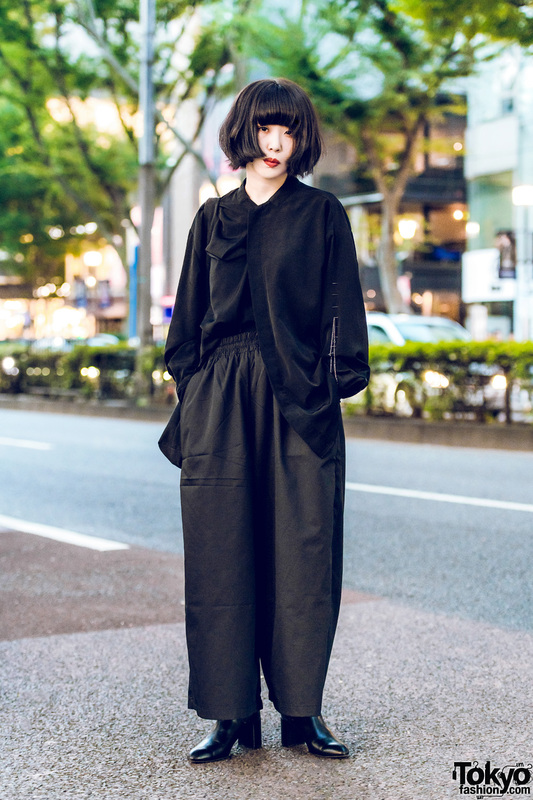 For more of Maru’s streetwear styles, follow her style feed on Instagram.